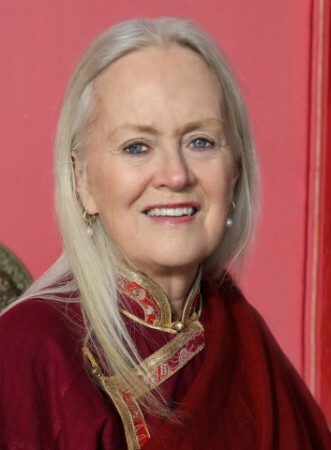 Lama Tsultrim Allione is an author, internationally known Buddhist teacher, and the founder and resident lama of Tara Mandala. She is author of Women of Wisdom and Feeding Your Demons: Ancient Wisdom for Resolving Inner Conflict and has just completed her new book, Wisdom Rising: Journey into the Mandala of the Empowered Feminine, to be published in May 2018. At the same time, Lama Tsultrim continues to guide Tara Mandala and thousands of students around the world. 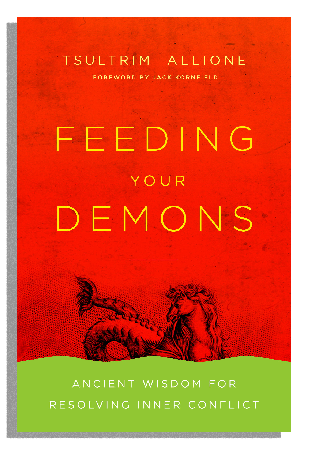 Inspired by the ancient practice of Chöd from the 11th Century Tibetan teacher Machig Labdron, “Feeding Your Demons” is a five-step process created by Lama Tsultrim Allione that allows one to offer compassion and understanding to one’s own inner demons rather than engaging in struggle with them. This revolutionary paradigm shift has both personal and collective implication of feeding not fighting that which assails us. The method develops the potential for deep healing and allows the psyche to move from polarization toward integration. The process is of great benefit when working with a wide variety of both personal demons, including anxiety, depression, addictions, chronic pain, fear, anger, relationship challenges, and other challenges of contemporary life. This talk will include a substantial experiential component and allow for a questions and answer period.